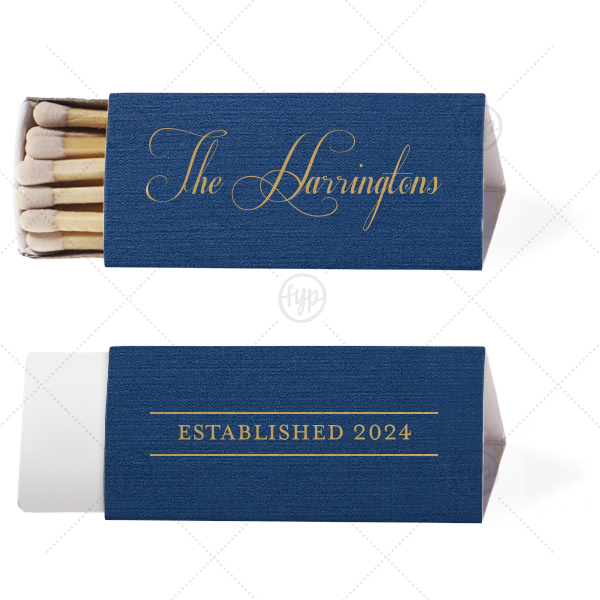 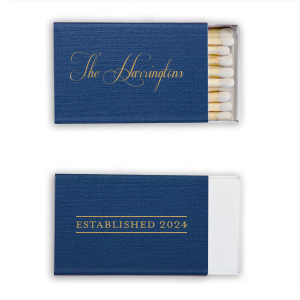 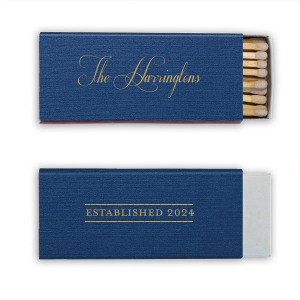 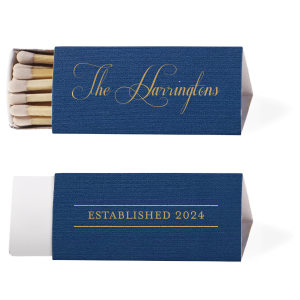 ForYourParty's personalized Established Year wedding matchboxes couldn't be more perfect. 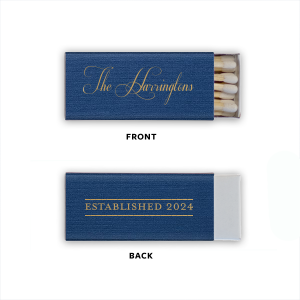 Mark the beginning of your life together with your custom designed cigar wedding matches. 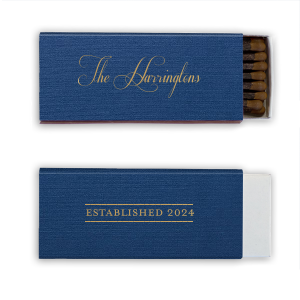 It's time to show off your excellent taste-—not to mention also giving a great wedding favor and way to light cigars—with your custom wedding cigar matches!